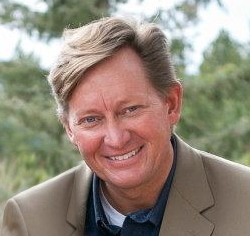 Pastor Jeff was born in Grand Rapids, Michigan in 1969 but moved to Colorado shortly after his birth. He has lived in various parts of Colorado ever since. 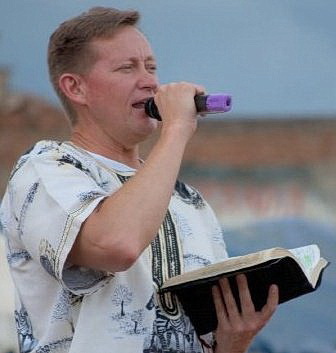 Pastor Jeff and his family moved to Colorado Springs after a youth group in the area greatly impacted his life, and God used that to call him into the ministry in Colorado Springs. 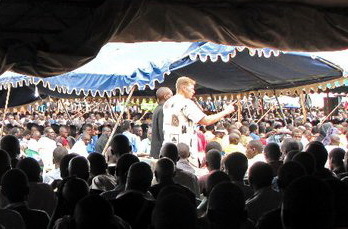 Pastor Jeff was called to the ministry when he was very young. He responded to the call as a senior in high school and then attended Bob Jones University in Greenville, South Carolina where he received his undergraduate degree in Pastoral Studies. He returned to seminary at Bob Jones to receive his master’s degree in Bible. Pastor Jeff and his wife, Nancy, served on staff at Grace Bible Church from 1993 – 2016. Pastor Jeff is committed to expository preaching. He founded International Bible Conferences while pastoring at Grace Bible Church. 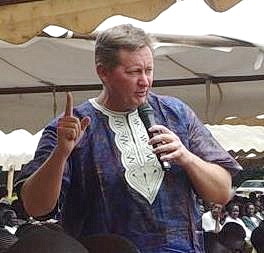 Pastor Jeff has conducted Bible Conferences in India, Russia, Nepal, Laos, Thailand, Philippines, Kenya, and Liberia with International Bible Conference. Pastor Jeff served on the TBM Board of Directors for over 15 years but due to his busy schedule became a TBM Consultant in 2017. Jeff and Nancy have been married since 1992 and have five wonderful children, Ashley (1992), Brandon (1994), Jason (1995), Alyssa (1995), and Zeb (1999).